“However, I get bored rather easily and the antenatal classes made me very uncomfortable. That’s when my doctor recommended a few at-home exercises like skipping and squatting. The funny thing, though, after doing my first session of squats, which I decided to do just before my ninth month of pregnancy, my water broke and I went into labour, that very night! Talk about drama!” she tells us, in excitement. 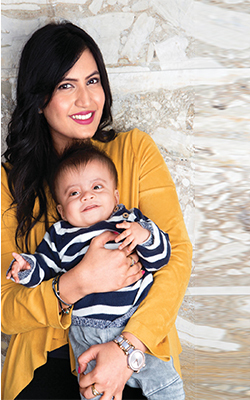 Being her first pregnancy, Subah really didn’t know what to expect when it came to labour. To her surprise, she had a smooth delivery. “Once the initial excitement settled down, and I began to feel the contractions, I realised I was strong enough to do this. Yes, I was in pain but I experience excrutiating period cramps every month. This was just a little more intense than that,” she explains. 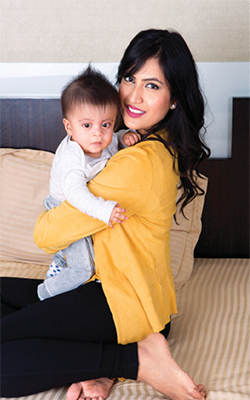 Fortunately for Subah, her labour wasn’t prolonged and she gave birth to her son Krishai, almost as soon as she was wheeled into the delivery room. 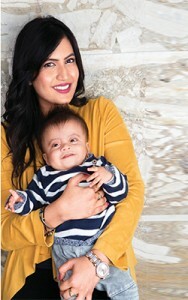 However, Subah did feel a stab of disappointment because her son was born premature, and she was expecting a monsoon baby. This also meant that she made sure she took every precaution after she brought him home from the hospital. “Initially, I was extremely careful around him. I had a night nurse who would stay with me, just in case Krishai needed something. This was before our jhapa came to live with us. The jhapa taught me everything I needed to know about caring for Krishai. It’s really a blessing that she’s with us,” admits Subah. The young couple would soon realise just how much life was going to change for them. The stress of a newborn slowly took control. “There was really no two ways about it. We wanted to be young parents. But we just didn’t expect life to change for us so drastically. Before Krishai, Arpti was my world. Now, everything was about the baby. 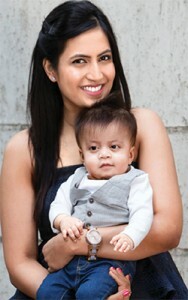 Our relationship did go through a bit of stress, because Krishai didn’t sleep much and Arpit and I would be up with him. We were both constantly exhausted. 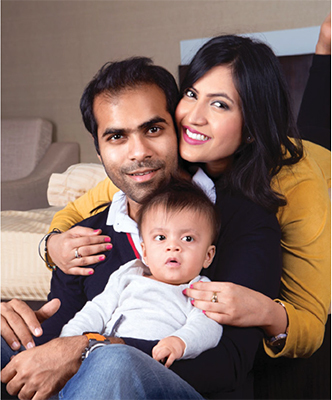 But once we accepted it was just part and parcel of life, especially with a baby, we managed to strike a balance,” says Subah. Motherhood did disillusion Subah, threw those preconceived notions out the window and gave her a whole new perspective on life. “Your personal life most certainly gets affected, but that’s just a sacrifice you must be willing to make, if you want to have a baby. You instinctively become more responsible because, whether you believe it or not, you want to do the best for your child. But, I learned the hard way that becoming a mum is nothing like you see in the movies. I didn’t instantly fall in love with my baby. It took time to strengthen that bond. Today, I sing a different tune. He’s the love of my life!” she says.